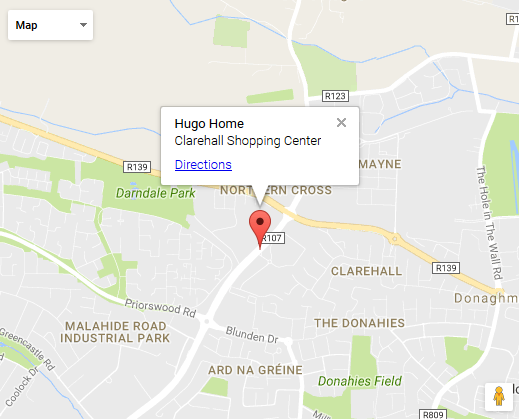 The following are the terms and conditions for use of hugohome.ie website or any Internet site to which the website is linked (the �website�). This website is for use by persons who are 18 years and over only. You are entirely responsible for any and all activities that occur under your account which is provided to you by hugohome who host the transactional element of the website. You agree to notify us immediately of any unauthorised use or any other breach of security. We do not hold any personal data. Instead, personal data is stored on a remote secure server and is the full responsibility of our website hosting company, who is a SAS-70 certified data centre provider. If you have any questions concerning website privacy and data use, we suggest that you refer to our hosting provider; his.ie. You agree to abide by all applicable local, state, national and international laws and regulations and are solely responsible for all acts or omissions that occur under your usage, including the content of your transmissions through the website. All information, designs, drawings and other specifications provided on the website are the exclusive property of hugohome. We reserve the right at all times to place advertisements and promotions on the website. Advertisers and sponsors on the website are solely responsible for complying with all local, national, state and international laws (where relevant) and we exclude all liability howsoever caused there from. The price listed on the Website (the 'price') for hugohome�products (the "products") will be as stipulated at the time when you place your order on the website. We are entitled to make adjustments to the price to take account of any increase in our supplier's prices, or the imposition of any new taxes or duties, or if due to an error or omission the price for the products on the Website is wrong. All descriptive matter, drawings, pictures, colours, specifications and advertising on the website are for the sole purpose of giving an approximate description of the product. To the fullest extent permitted by applicable law, under no circumstances, including, but not limited to, negligence, shall we be liable to you for any direct, indirect, incidental, special or consequential damages that result from the use of or the inability to use the Website, any changes to the Website, any material or data sent or received or not sent or received or for any of the above-mentioned damages that result from the use or inability to use the Products. In no circumstances shall our liability to you and/or any third parties for any of the above exceed �200.